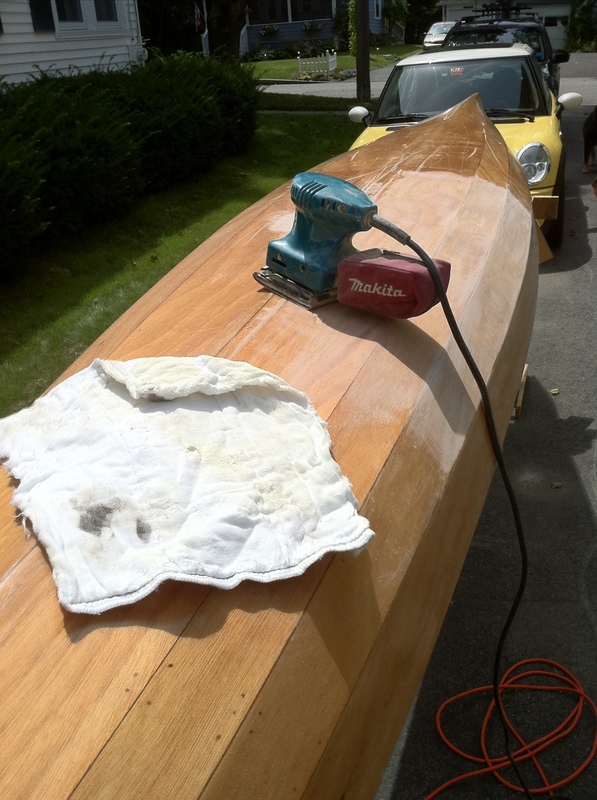 I built this Pygmy Boat Osprey Standard in 2002, applied 3 coats of good varnish and have paddled it since. 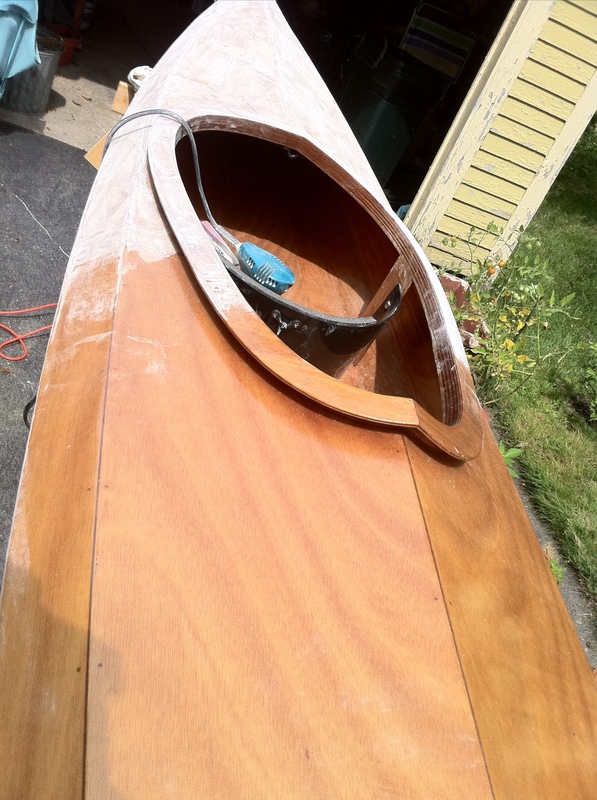 Sanding the old to make way for the new. Three initial coats, but I want at least five this time. Protection is always important in these matters. 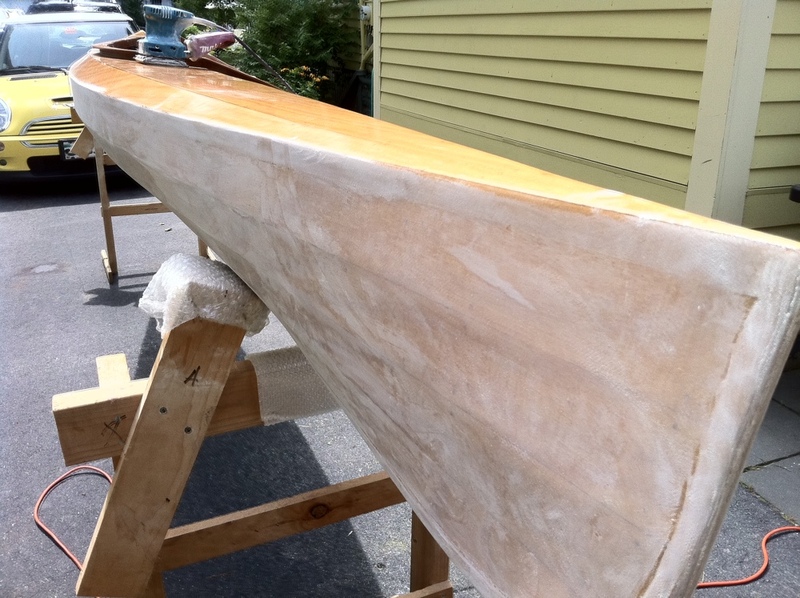 Will add front handle and rigging for paddle stay, top storage … trouble is finding the right weather pattern for a few days in a row this time of year for 5 coats of varnish.